Tues. #1 is HERE. To help the website out please subscribe to Mistah MegaManFan so we can reach 1,000 (current count: 819). If you're a gamer you'll enjoy the content. Don't miss Ian Clark's SmackDown Live Recap at 8 PM ET! With the cheap plugs out of the way here's Tuesday's latest wrestling news. A Q&A for the Paige biopic Fighting With My Family is below. In this interview Jack Swagger talks about All Elite Wrestling: "I could not be more excited about it. I feel like it's changing the landscape of professional wrestling. It's providing competition. I know, Jim, you're like me. I believe competition makes everyone better. So this is great for pro wrestlers. This is great for the boys in the back - it gives them some place to go, it gives them leverage. And it's great for pro wrestling fans! It gives them different styles and shows the different artistic ways we can tell stories. I can't put a finger on how guys like Kenny Omega, guys like The Young Bucks, guys like Cody, over the last two years have just become red-hot and just generated so much momentum. They're just doing the right things at the right times and really making it a great time to be a pro wrestler." Here Goldust talks about his first WWF feud being with Scott Hall: "Scott was fun to work with, he's a great worker. We didn't always see eye to eye with things back then and the direction the character was going. But we got through it and we did some good business, and I had fun. It's one of my most memorable moments too, along with the Roddy Piper Backlot Brawl at WrestleMania 12. He definitely helped the Goldust character and getting it some notoriety and getting it out there. Scott's a great dude, we had fun." Eddie Kingston has announced 2019 is his last year in pro wrestling. 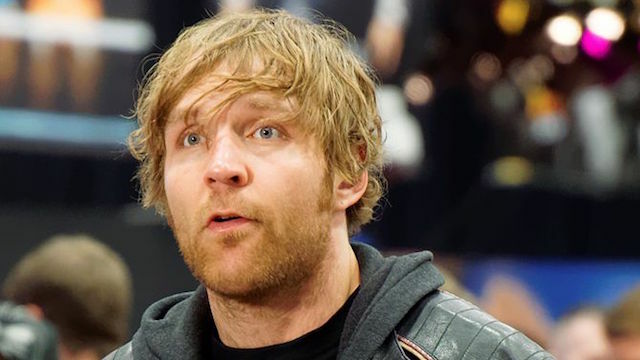 Now WWE.com is confirming what we all knew this morning: "Dean Ambrose (Jonathan Good) will not be renewing his contract with WWE when it expires in April. We are grateful and appreciative of all that Dean has given to WWE and our fans. We wish him well and hope that one day Dean will return to WWE."